Located just a 5 minute walk from the Mozaic Restaurant and Beach Club at Batu Belig Beach, Kubal Villa is a peaceful sanctuary which oozes a homey atmosphere. Staying at this villa, you will be guaranteed to forget the hustle and bustle of your daily routines. Despite being quite well hidden, the villa is in fact not that far off from the main attractions in the Seminyak area, which will leave you spoiled for choice when it comes to planning your day, as well as evening. The 1, 2 or 4-bedroom villa will provide you with great privacy as each one is enclosed within a well-manicured tropical garden and characterised by two structures sitting right in front of one another with a private pool In between. 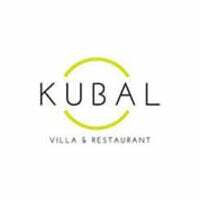 Starting your day at Kubal Villa is not a hard task. Whether you swim then go top up your tan on the sunbeds, or head straight to the open-air dining area, which features a well-equipped kitchen for a hearty breakfast, the choice is really yours.